I read a post on Reddit regarding a talk Jane Goodall gave. 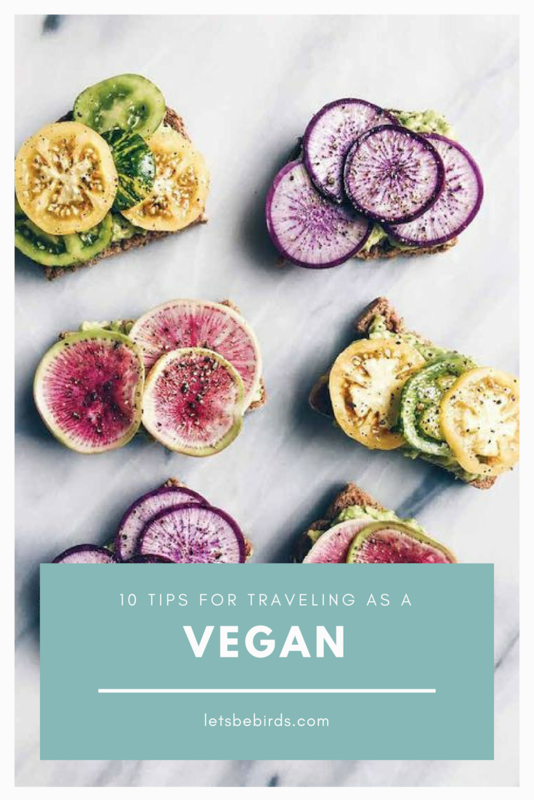 Someone asked her “are you vegan or vegetarian?” She responded that she’s vegetarian but if she wasn’t traveling so much, she would be vegan. 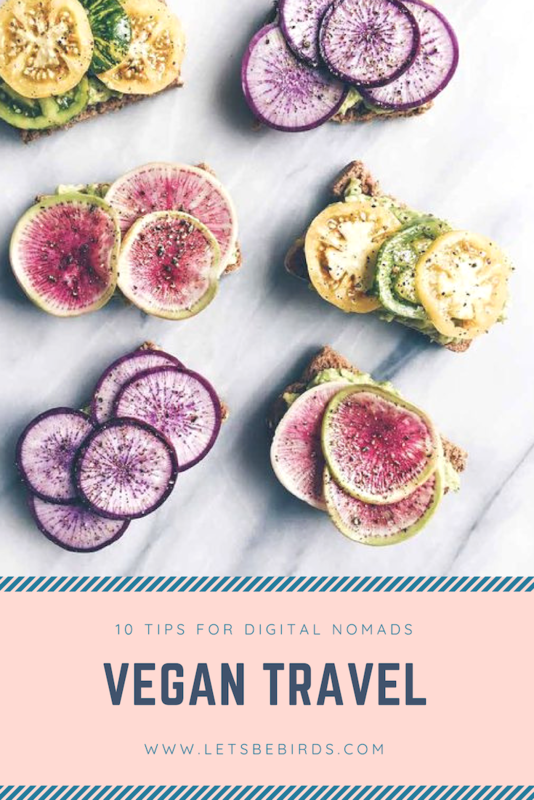 I scanned through the comments and noticed how many people echoed her point that vegan travel is difficult. I can certainly relate as well. The “Cowspiracy” quote from the ex-cattle rancher really stuck with me “you can’t be an environmentalist and still eat meat. Period.” He’s right. I was enjoying nature every day in New Zealand, hiking, swimming in the lakes, surfing in the ocean and camping under the stars. I couldn’t love and appreciate the beauty of nature then, in good conscience, go order a Fergburger. Once I was a vegetarian, the process of becoming plant-based came naturally. I watched “What the Health” and a few other documentaries on the health benefits of living plant-based and read articles on factory farming and the process of obtaining milk from cows. There’s just too much information out there all pointing in the same direction and saying the same thing – go vegan! 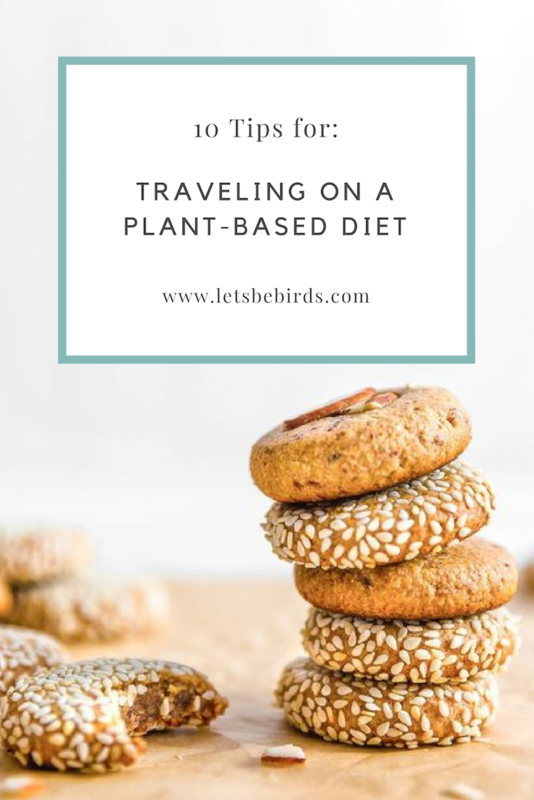 But even with the knowledge and the drive to live completely plant-based it IS difficult to maintain the diet while traveling abroad (& I definitely still eat cheese on occasion.) 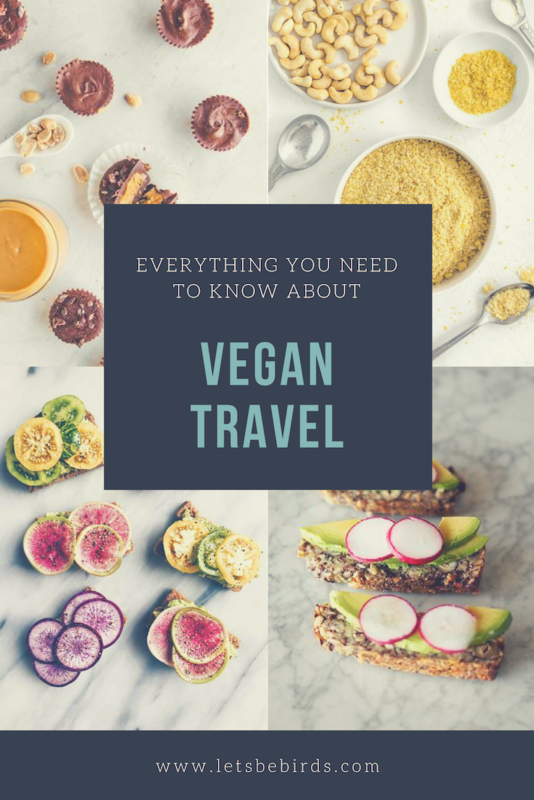 I’ve traveled continuously all over the world for three years now, two of which I was/am a vegetarian/aspiring vegan. Some places are vegan-friendly, some most certainly are not. Sure, it’s possible to survive on dry salads, but that’s not a sustainable solution in my opinion. 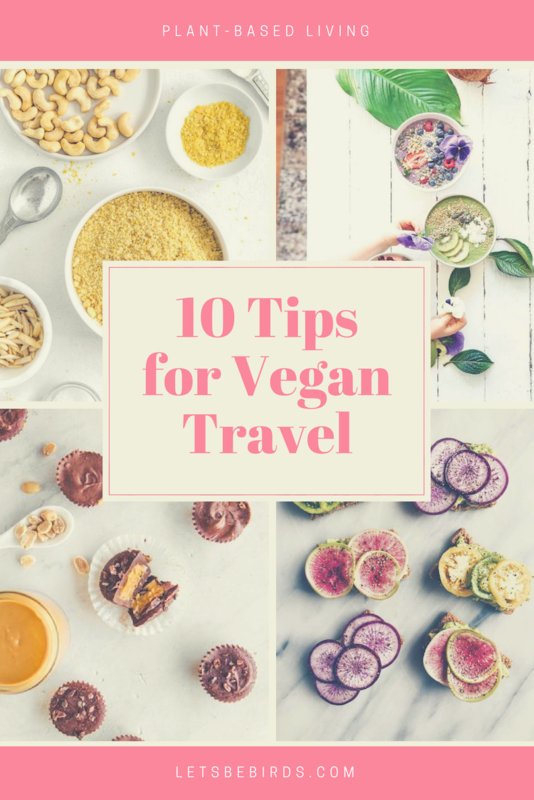 Whether you’re planning a trip or living on the road like me, here are my top 10 tips for being as vegan as possible while still enjoying your time and your meals. I love Airbnb! I find the accommodations more comfortable, affordable and the experience more authentic. And if you’re vegan having a kitchen to cook in is an absolute lifesaver. 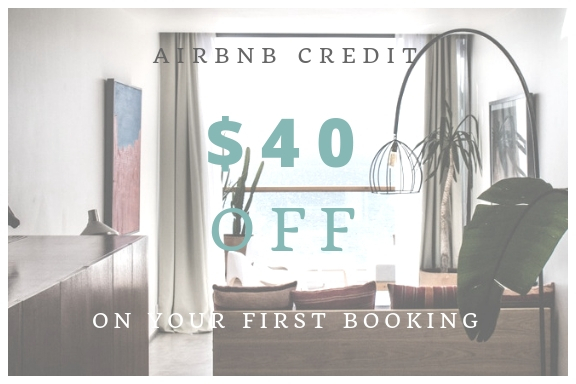 See my number one tip for saving money on Airbnb HERE. 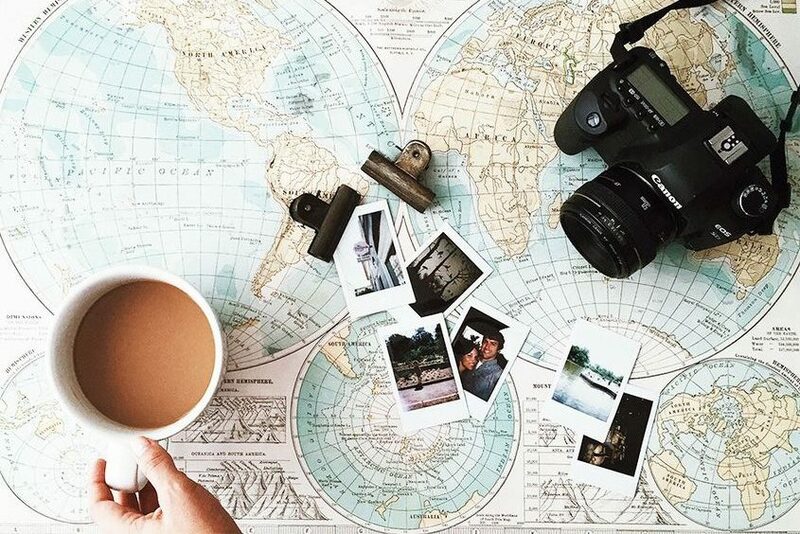 Oh, and if you use this link you’ll get $40 in travel credit when you sign up! 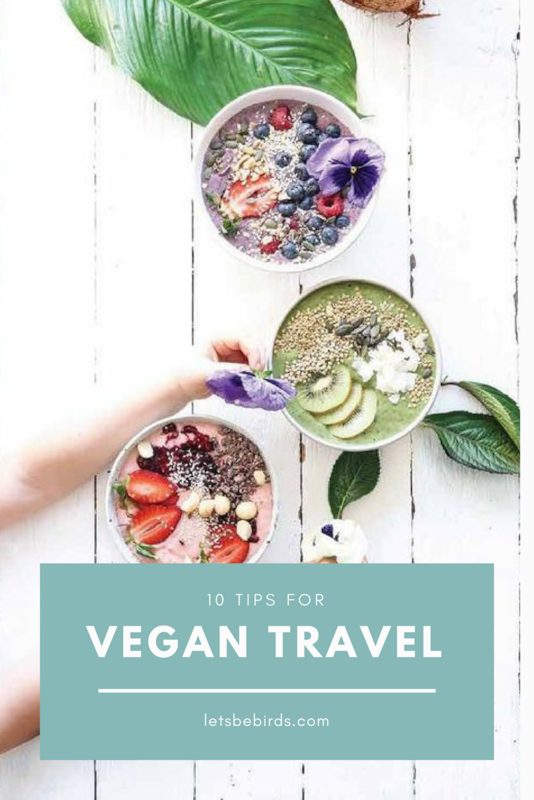 I always make sure to special request the vegan option on flights that serve food, and to be honest, what I get is almost always wretched and unedible. What I’ve been doing lately instead is preparing meals in a stainless steel bento box. This box keeps things cool, has separators so you can pack snack style and doesn’t leak. 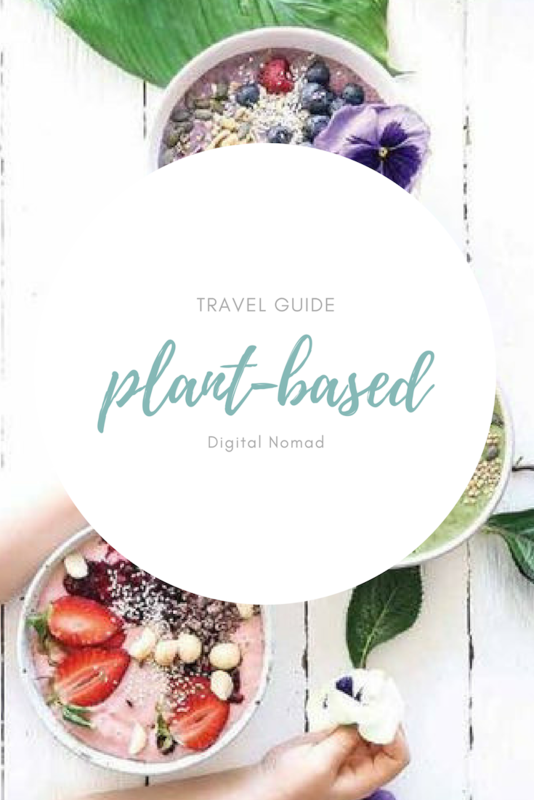 I travel with 4 different supplements: B12, Omega 3, D3, and Magnesium. B12, Omega 3 and D3 are the three essential nutrients missing from vegan diets and I’ve found that if I don’t supplement these three things I feel tired and experience major brain fog. It’s a pain packing 4 glass bottles since they do take up quite a bit of space but to me, it’s worth it. Fortunately, there’s a vegan multi-vitamin containing these three nutrients launching in a few weeks. I pre-ordered mine for $15, so excited to finally minimize my supplement weight into one bottle. 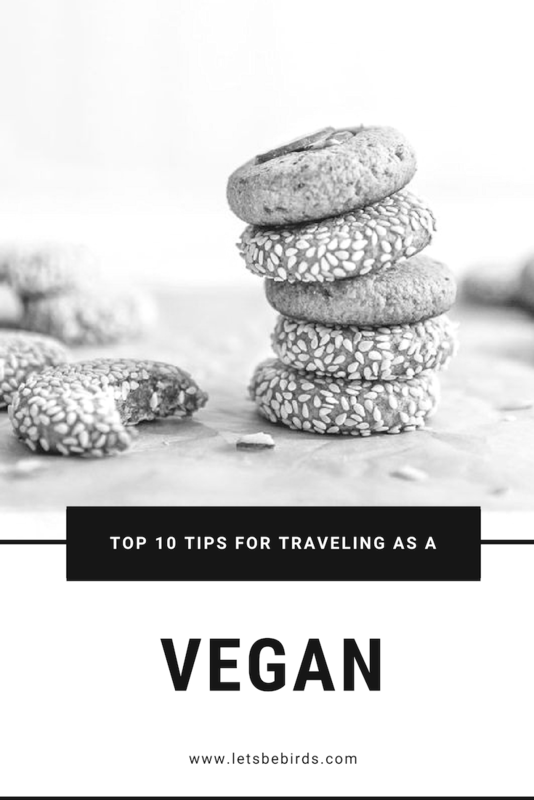 This one is kind of obvious, but it’s one of the best parts about traveling as a vegan. While omnivores tend to stick to the recommended restaurants vegans get experimental and experience a bit of local culture. 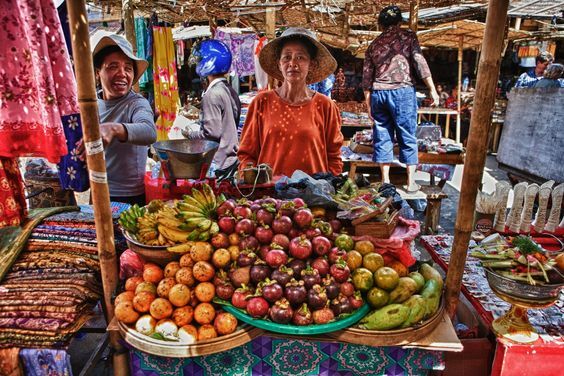 One of the best things you can do while traveling is support the locals by buying fresh fruit. I always go to the local fruit stands in Bali and stock up on rambutan, pitaya and the little bananas that taste like ice cream and snack on those at the beach. It’s also a great way to save $$$. Flax Seeds & Hemp Seeds – sprinkle this on some fruit for added protein, iron, etc. Words to Know: Meat, Chicken, Ham, Pig, Goat, Hamburger, Beef, Egg, Milk, Cheese, Dairy, Lactose, Honey, Cow, etc. 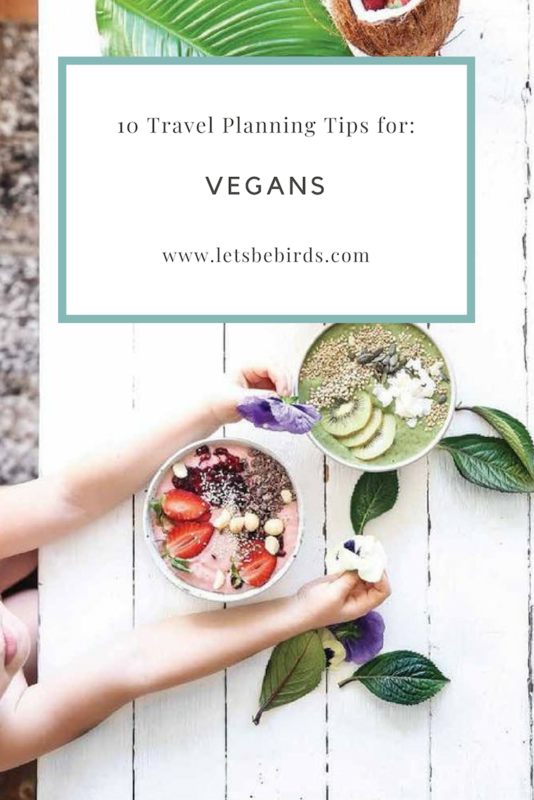 Phrases to Learn: I’m vegan, I don’t eat meat, please no… etc. 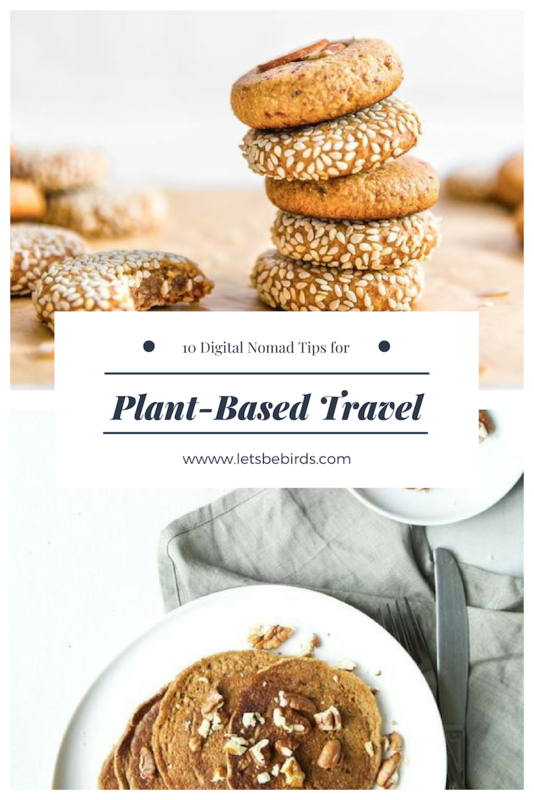 Okay, this one is just for crazies like me who travel constantly and can’t live without hummus. But really, they’re amazing if you travel often. 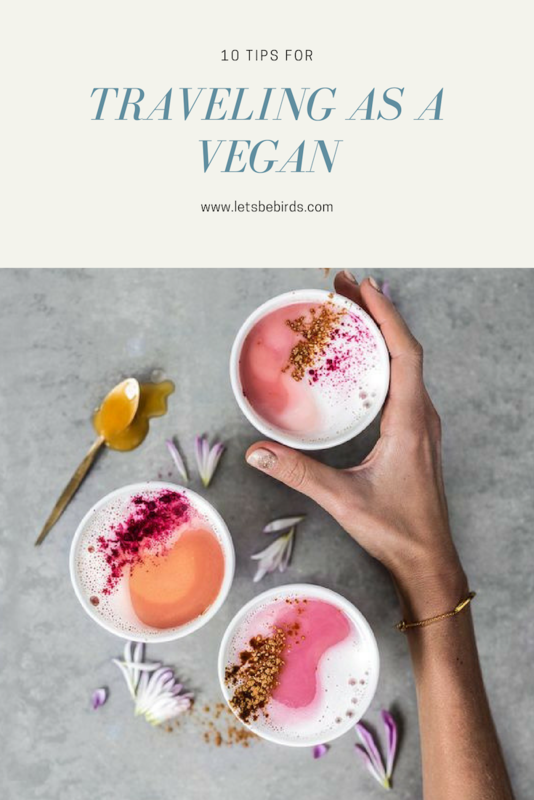 (Make sure to buy one in Europe – I made the mistake of buying a mini blender in the US and trying to use it in Spain and almost burning the house down – the wattage is not the same!) They’re a great investment, affordable and easy and light to pack. 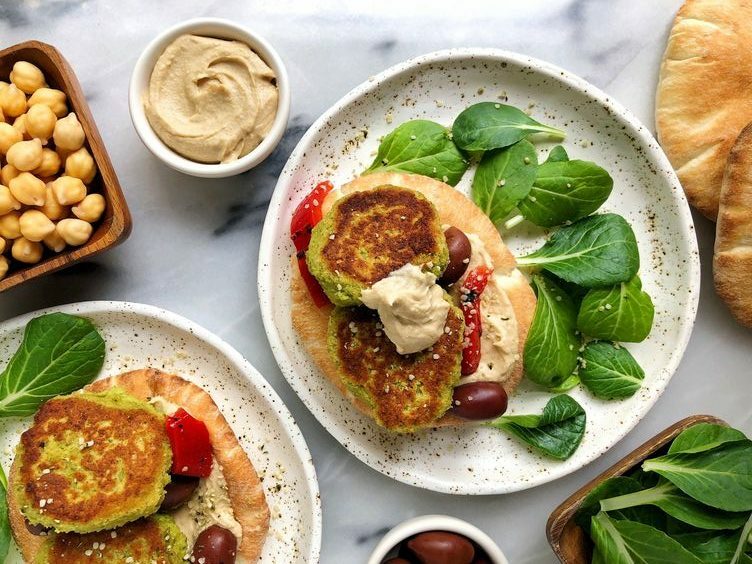 It’s also all you need to whip up a date smoothie or garlic hummus. This one is for those desperate late night times you find yourself starving in the streets of Europe. The grocery stores are closed, your kitchen is empty, you didn’t plan ahead and the only restaurants open have pig legs hanging in the window. If you haven’t lost your appetite from the sight, what do you do? You find a kebab shop! They’re always open and they always have falafels. Finally, when you are cooking, I highly recommend keeping it simple. 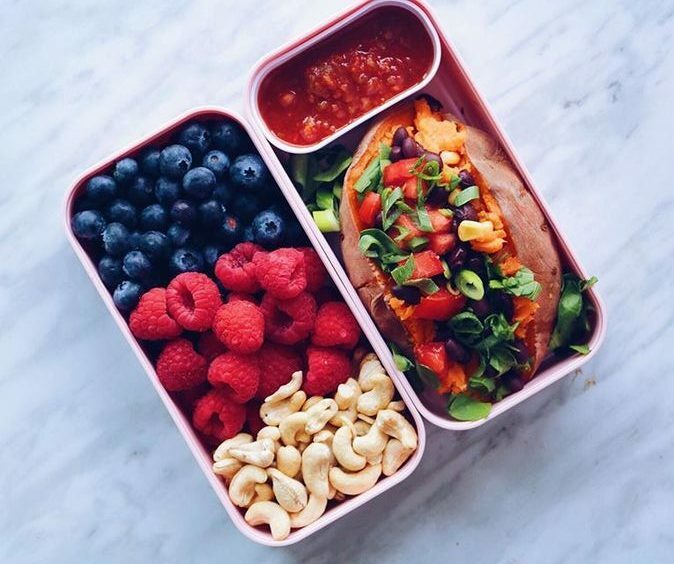 That doesn’t mean you need to sacrifice taste, but it’s one of the best ways to reduce waste, simplify your life (allowing you more time to explore) and help you to save money! 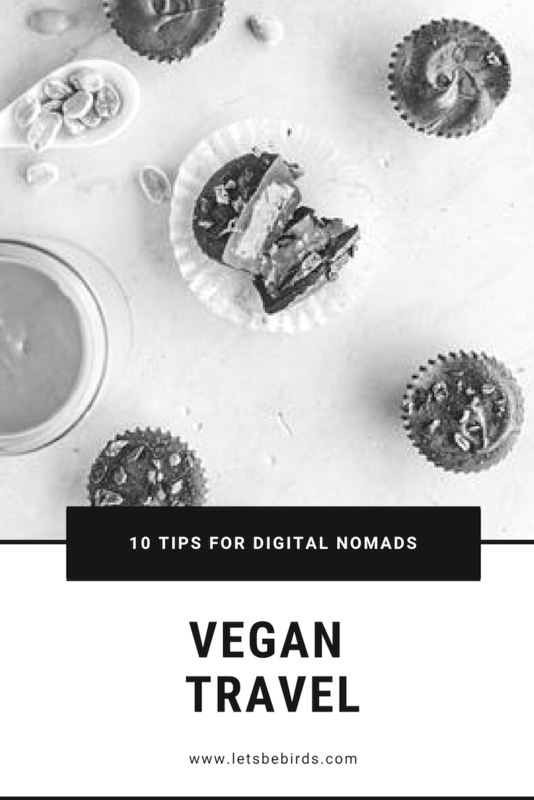 I’ve compiled a list of my 12 favorite, easy, vegan recipe containing only a few simple ingredients and requiring few kitchen essentials to make. 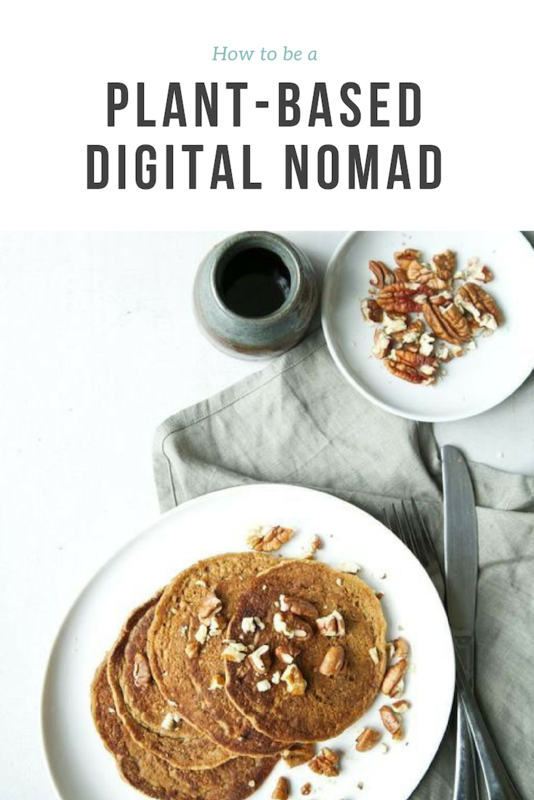 See the recipes HERE. It’s easy to let your health slip when you’re on vacation, it happens, and you can always reset when you get home. 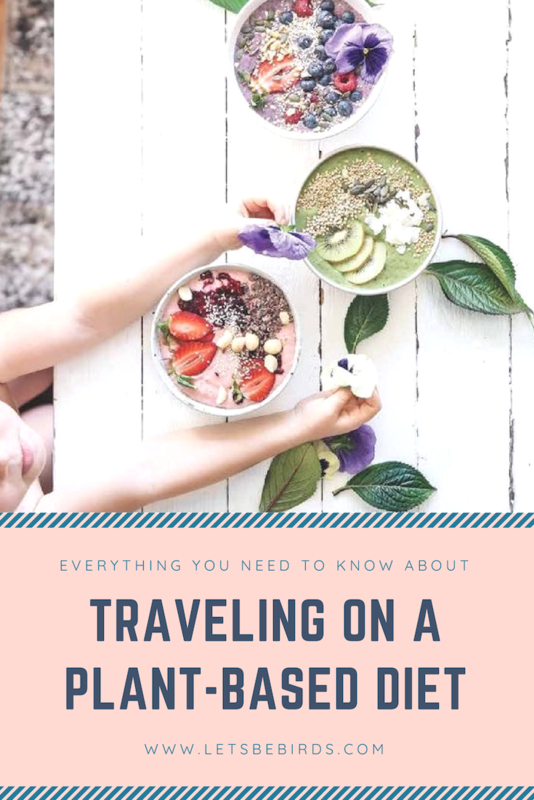 But if traveling is a large part of your life it’s critical to constantly stay as healthy as possible. It’s easy to get sick while traveling when you’re jetlagged, missing sleep and pushing yourself to see and do as much as you possibly can. So just be mindful, stay hydrated, plan ahead, take your vitamins, get some sun and exercise and enjoy the moment! 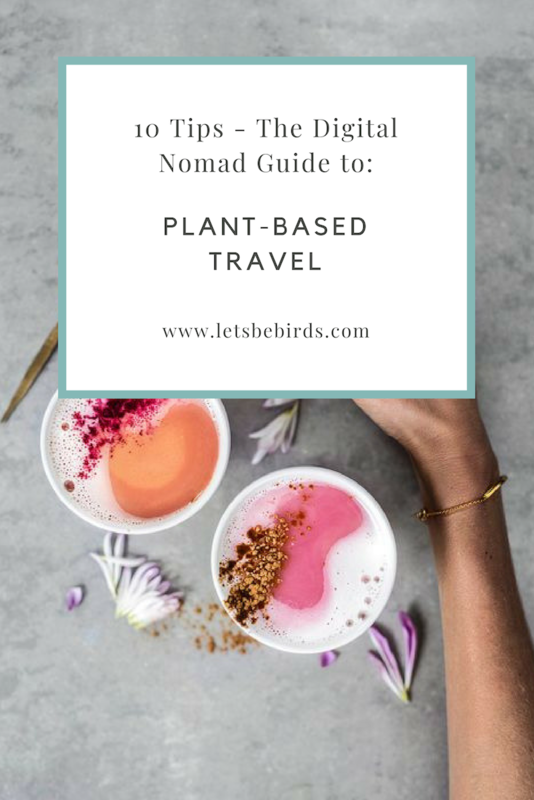 For a full list of my absolute favorite vegan travel essentials click HERE. 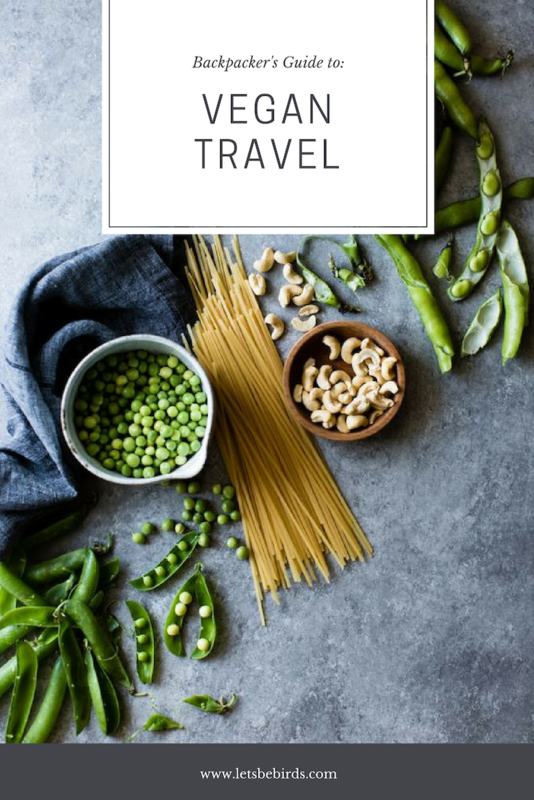 For tips on planning travel to a new city click HERE. 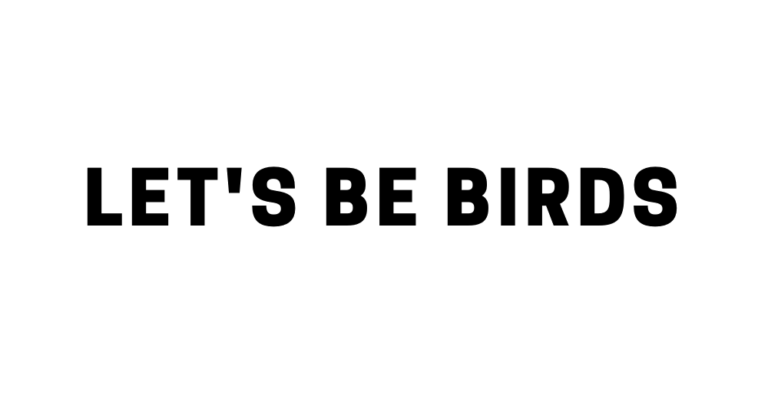 Lets Be Birds is a participant in the Amazon Services LLC Associates Program, an affiliate advertising program designed to provide a means for sites to earn advertising fees by advertising and linking to Amazon.com.